It’s no secret that horse Racing is one of the most popular social pastimes in the UK. Of course, horse racing has always been popular. But perhaps now more than ever, during these uncertain times, it gives people an excuse to have the flutter, get dressed up and let their hair down. If you’re in and around London this month, here are the April races at Kempton and Sandown to try. Kempton racecourse is situated on the south-western side of London. Even though the racecourse is small, it features an all-weather course that provides year-round racing for the whole family. The biggest meeting of the year is the King George VI Chase held every Boxing Day. Until Christmas time arrives, there is still plenty of great racing to be had. During April there are some great races coming up starting with Floodlit Flat racing on the 3rd April 2019 with prices starting at £11.25 and tickets can be purchased online. A big favourite for families during April is the Easter Family Fun Day 2019 where you can celebrate the end of the Easter holidays with your family with extra events held for kids including pony rides and a petting farm and kids go FREE and general tickets start from £15. You can even watch the horse races online, but nothing beats the thrill of actually being at the races live. Kempton racecourse is only 16 miles distance from central London, and because of where to racecourse is situated there has been talk that it maybe turned into a housing area by 2021. Sandown is located only 6 miles away from Kempton racecourse. It’s one of the leading racecourses in the world. The racecourse is easy to reach from the City and provides plenty of great days at the races. With the high quality of racing and the accessibility of the racecourse means that you do pay a small premium but this is definitely worth it. The racecourse offers two enclosures – the Premier and the Grandstand. The rear side of the Grandstand overlooks the parade ring and with a higher demand for these seats they are more expensive and in high demand. From the front of the Grandstand, the steps allow an unobstructed view of the whole course. The area allow for a more relaxed casual feel to the day out racing. The Premier Enclosure offers full access to the Grandstand and also benefits from exclusive bookmakers, catering and bars and is also level with the winning post. When you are in the Premier Enclosure there is a dress code as you would expect but adds to the fun of the day. Throughout summer, you will find a selection of great races with evening entertainment – one of these being the legendary Coral-Eclipse. 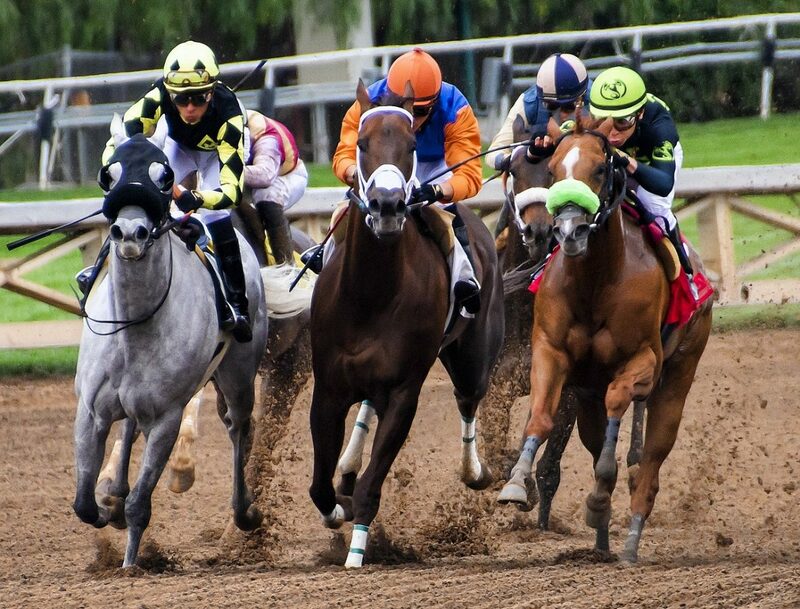 Don’t miss out on the next horse races on the 26th and 27th of April 2019. On 26th April it will be the Bet 365 Classic Trial Day prices starting from £16, and on the 27th April it will be the Bet 365 Jump Finale with prices starting at £25.